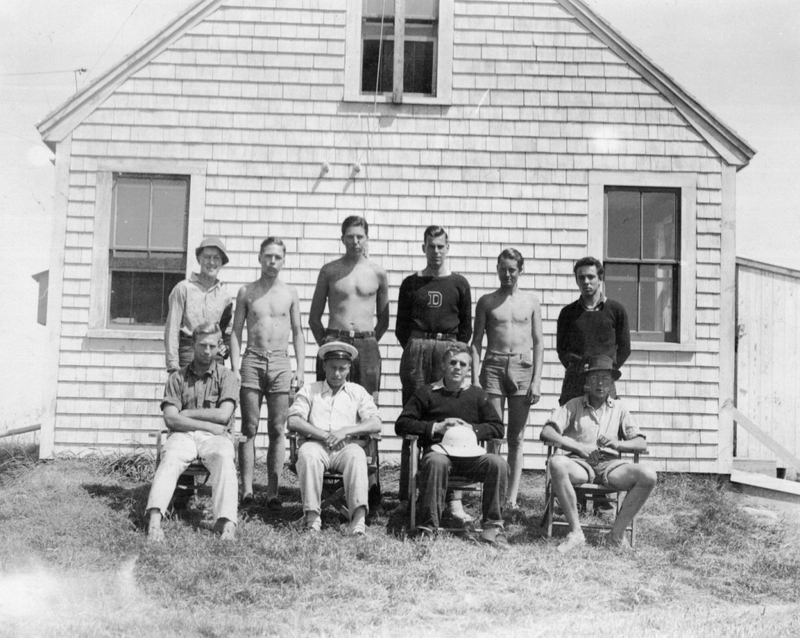 Group portrait of the undergraduates sent to establish a permanent research station on Kent Island. Seated, left to right: George F. Cary, John A. Crystal, W.A.O. Gross (expedition leader), Robert D. Morss. Standing: T.A.O. Gross, Howard B. Miller, James W. Botsford, George R. Cadman, Latimer B. Hyde, William Frost.